To be effective, a brand needs to be the core of a business, and it needs to reflect the principles of its team. In our case, T2 Tech Group prides itself on building trust through consistently delivering value to clients and supporting an environment that attracts highly-skilled IT professionals. This philosophy along with our unique abilities and approaches to IT solutions allowed us to grow to a mid-sized business, and we’re currently seeing expansion at a rapid rate. As our client base and team grow, we will need to cultivate company values and an accurate reputation among a large network of businesses, healthcare organizations and qualified technologists. Our brand will support our method of delivering value and help us connect with colleagues and business partners in the coming years. To help build our brand, we recently developed a new tagline designed to concisely express our industry standpoint and core values. After many team discussions, our company decided on the tagline “Transforming technology 2 work for your business.” Because a tagline is a highly concentrated expression of who we are as a business, each word was carefully thought out. Transforming technology: This portion of the tagline explains the type of work we do. Our team facilitates IT infrastructure transformations and gives organizations the framework they need to get the most out of their IT ecosystem. While we’re not a software company, we work with clients and see positive transformations as our clients establish new or more efficient and effective infrastructure, workflows and applications. The 2 in our tagline: Whether they’re speaking at professional conferences or pushing their physical abilities, our founding partners are driven in all walks of life. When T2 Tech Group was founded, Managing Partner Robert Konishi had just completed an Ironman Triathlon with some of his associates from UCLA Health System. As he has written in The Story Behind the Name, the “T2” in our name refers to “transition 2” in a triathlon, where competitors transition from a 112-mile bike ride to a 26.2-mile run. As a marketer, I wanted to communicate this drive in our tagline. Technology working for your business: From healthcare or government to retail or hospitality, IT is a major component of business operations. Even when times are tough, the right investments can increase an organization’s bottom line profits or efficiently improve critical services. When organizations outsource IT experts, they’re looking to get major benefits from IT but often need help determining what technology to invest in. Some clients may need to maximize utilization for systems they already have while others may need to purchase something new. With this portion of the tagline, we wanted to demonstrate our ability to help organizations leverage the right technology solution for business needs and overall goals. T2 Tech combines the technical expertise necessary to complete projects end-to-end along with the business acumen needed to manage initiatives for small businesses and large enterprises alike. Beyond that, we’re a personable group that is hands on with clients and will go the extra mile to ensure end-user benefits. Many consulting companies have highly experienced engineers, but our combination of business, technology and people make us unique. As we develop our brand, we will continue to accentuate our company’s differentiating factors and reach out to organizations we know we can make a difference with. John P. Kotter outlines in Leading Change the essential steps necessary to guide change to transform businesses, and the extensive time required to ensure long-term success. The tedious change process requires dedication and focus in order to combat human nature’s resistance to change. The people impacted most by the change are sometimes the point of opposition to the change. Like the eight things that can impede transformation listed in Leading Change, those too are items that can be the demise of an innovative environment – why innovation fails. I reread this article because I’m in the mist of implementing change at my new company, T2 Technology Group – soon to be renamed T2 Tech Group. After a thorough review of T2 Tech’s brand, identity and logo as their new marketing director it was obvious an overhaul was necessary. The best branding today is based on a strong idea. Our idea was there, but there wasn’t a consistency between that idea and our message or the brand’s visual identity. One barrier to success that struck a chord with me within Kotter’s article was the importance of communication during time of change . The article Leading Change states, “Helping people see the right connections requires communication.” Communication failures can be the demise of innovation and change, and those breakdowns can happen in a number of ways. Lack of communication regarding the change. Here, the right constituents do not get the message. A fundamental flaw with the message itself being communicated about the change. For example, a vision for the future or the reason for the change must have a strategy and a reason that appeals to customers, stockholders or employees. Wrongfully used mediums used to deliver the change communication. For example, if executives are not “walking the walk”, their actions are a communication medium to subordinates that is in conflict with progression needed for that change. Organizational change that leads to innovation succeeds because of a compilation of factors. Because no business survives over the long term if it can’t reinvent itself, the fundamental driver of success is a will to survive, both a will of the people on the front-end of the business, as well as a will of leadership. After the T2 Tech leadership bought into my change recommendation, I created a timeline for our internal and external launch of new brand assets (#3). Last Friday, the company came together and I revealed our new logo and how we were reinventing ourselves. I was transparent on reasoning for the change and how it aligned with the company’s vision (#1 & #2). Next week, we launch the brand externally and it’s time to walk the walk (#3). During this era of consumption, western societies’ local supermarkets have commonly stocked shelves with 250 varieties of cookies, 75 types of ice teas, 230 Soups and 175 salad dressings. The amount of decisions we make each day varies significantly, but the amount of choices for inconsequential purchases are on overload. As marketers, our job is to breakthrough the noise. With the sheer amount of options, the medium and message hinges more than ever on good naming. When I participated in the naming process for dozens of healthcare IT solutions at my company, I have frequently quoted Claude C. Hopkins, “The right name is an advertisement in itself”. For trivial choices (Coke vs. Pepsi) and profound ones, the product or service’s name should symbolize something for the consumer. The classic marketing book “Positioning the Battle of your Mind” presents the approach of creating a “position” in a prospective customer’s mind. The authors Al Ries and Jack Trout were ahead of their time when the book initially launched in the 1980’s. Today, a similar “customer is boss” mentality is instituted today by Procter & Gamble and companies worldwide. That same consumer-centric mindset should be existent in product naming too. It’s not about what the product names means to the producer, but what the name conveys to the receiver. One of my favorite naming examples tops the chart of many best naming lists – Sony’s Walkman. The Walkman was a portable audio music player and transformed music listening. The Walkman went beyond describing the product, it told the consumer what you could do with the product. This customer-focused name, Walkman, focuses on satisfying the needs of customer. Of course there is far more to a brand’s success than the name, but many product failures exemplify what happens when naming goes wrong. Some would ague, the perfect name isn’t essential for the onset of the product, but the ramifications of changing the name later can be significant. Even before an external launch, the internal naming used during its development can linger for years forcing marketers to spend time rebuilding the internal brand. 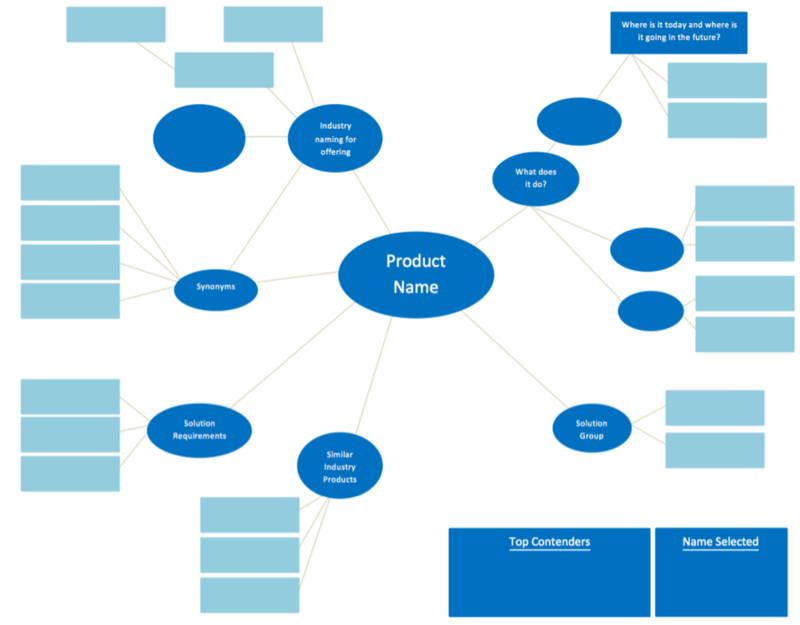 This mind map, placed in a Microsoft Word template, helps marketing strategists and business owners to create a common thread connecting the products or services associated with the new product of service while conveying differentiation. At the onset of a product creation, documenting what the new offering does for the customer and what it is forecasted to do helps get closer to determining a name that will be well positioned in the prospective customer’s mind. Mind mapping is defined as a learning technique which uses a non-linear approach to learning that forces the learner to think and explore concepts using visuospatial relationships. Naming is complex and a non-linear approach is necessary. To add to the complexity, the amount of choices customers have that includes direct or indirect competitors constantly grows. The Naming Mind Map provides a starting point for considering the many variables. Before a dollar is spent in advertising and promotion there needs to be careful consideration of a name. A name that is meaningful to your customer is more likely to withstand the test of time and pay off in the long run. LOL, BRB, OMG, and J/K are popular acronyms and lingo in today’s tech savvy world. But what about SRI and ESG? SRI stands for sustainable, responsible and impact investing (SRI). The strategy is to invest in the advancements of environmental, social and corporate governance (ESG) best practices. This year, I joined the growing SRI trend. The Forum for Sustainable and Responsible Investing reports that from 2012 to 2014 SRI enjoyed a growth rate of more than 76 percent. In 2014, more than one out of every six dollars under professional management in the United States is involved in SRI. Author and educator, Anna Lappe, is known for her work on food systems and sustainability. This quote resonates with me. I am empowered to vote with the dollars I spend to create a better world, and I get a say in who controls it. At the sacrifice of potential savings or convenience, I purchase products and services from organizations that operate in the better interest of the world. I am inspired by the term “shared value” from Porter and Kramer’s “Strategy and Society” article, written in 2006. It focuses on companies creating measurable business value by identifying and addressing social problems that intersect with their business. I purposely make choices in the marketplace that not only fulfill my self-interested, individual material needs and desires, but also consciously consider the public or the public good. With all the energy I put into sizing up the fundamental principles of corporate organizations that I purchase my basic and luxury items with my disposable income, I’ve blindly invested in unethical companies worldwide. My stock portfolio is opposes the way I spend my daily allowance. It canceled out my good intentions. After much research, consideration and debate among my family and friends I parceled out 10K of savings into different equities using the SRI philosophy. They cautioned that I should expect a 10 percent reduction in growth rate than mixed indexes. My rationale was that I would pay a premium to own a hybrid vehicle or green car because of better ESG practices, why wouldn’t I here? Plus, I am not looking for short-term gains. With retirement far from the horizon, these investments are for the future. Organizations and companies using the shared value frameworks to guide the core business choices can use it as a source of innovation and competitive advantage. Think about Aldi, a leading global discount supermarket chain, which does not promote itself as an establishment tied to charity working for the greater good. Yet, Aldi’s business model and value proposition at its core is better for the environment. It doesn’t donate millions of dollars to place a band-aid on the global warming. Instead, it operates in a fashion that doesn’t pollute our ecosystem. Aldi should be winning over consumers because of its deep-seeded practices. And those practices are paying off. The core business choices Aldi used is a creating a competitive advantage over the Wal-Mart’s of the world generating high revenues from unethical business management. In the long run, the companies developed based on a shared value model have an opportunity to prevail. Maybe my SRI will prove to be more prosperous. A company founded at its core to purposely serve society, doesn’t innovate solely for profits but to create a shared value. By not buying shares of those companies that offend my core values I feel like I am more holistically casting my vote with my money. The most common professions, in the United States, have a possibility of being permanently displaced. The Bureau of Labor Statistic’s May 2015 reports the top three jobs by number of employees are salespeople, cashiers and fast-food workers. The next largest occupational group includes office and administrative support staff, which make up 16 percent of total employment. Delivery drivers rank in the Top Ten largest U.S. employment fields. Existent technology or innovations in the foreseeable future might make these occupations obsolete. Today, I complete complex purchases with the ease of the Internet without consulting a salesman. I prefer self-checkout kiosks to using a cashier. And without much creativity, I can image a time when my delivery order shows up on my doorstep from a driverless vehicle which Google predicts to be publicly available in 2020. When I accepted a job at Cerner Corporation, I recall talking to my friends and family about the organization’s development efforts to automate healthcare record keeping. Once I caught myself talking to my friend that recently completed a Registered Medical Transcriptionist program. Six years ago, I overzealously explained to her Cerner software created to eliminate nurse transcription errors through medical device interoperability. To this day, I vividly recall her facial expression as she processed what it meant for the longevity of her transcriptionist career. Individuals question how a machine could encapsulate a human’s capacity for deep understanding or creativity. Both are two qualities needed to be a successful corporate communication strategist. In 2013, research from Oxford Martin School’s Programme on the Impacts of Future Technology, forecasts “45 percent of American jobs are at high risk of being taken by computers within the next two decades.” Some may think this projection is improbably, but to disregard it entirely might result in career suicide. I am willing to self-evaluate my work and the permanency of a career in marketing. Without doubt, work within the marketing and communications field constantly fluctuates. In the Journalism communication field if has never been more obvious. The printed newspaper industry collapsed; revenues fell by two-thirds from $60 billion in the late-1990s to $20 billion in 2011. Today, digital marketing automation resides everywhere. Software enables marketing departments to more effectively commutate through multiple channels simultaneously. Auto generated reports once manually drafted measure marketing activities to increase operational efficiency and grow revenue faster. Regardless of occupation, willingness to evolve is a requirement for employment survival. To ready for the technological transformational era, take the time to think about next wave of technology that might replace components of your job or your role completely. Inevitably, doomsday for the traditional marketer will come. The upside to all this change, you can now pursue the work you always wanted to. Cerner Corporation, a healthcare IT company with technologies existent within 18,000 facilities worldwide, held its annual Cerner Health Conference (CHC) this week. The Kansas City Business Journal reports more than 14,000 attendees participated in the multi-day conference. The influx of people in Kansas City created an estimated economic impact to the city of 14 million dollars. And in a few cases, it’s predicted that Cerner’s largest client organizations spent 50,000 dollars or more to send attendees in mass to CHC. Days later, I visited Los Angeles and I was one of the limited number of fans able to see the new Steve Jobs film over the weekend – thanks to its initial small scale release only in Los Angeles. As a Steve Jobs admirer, I found the controversial new look at the Apple co-founder especially enlightening following my CHC experience. 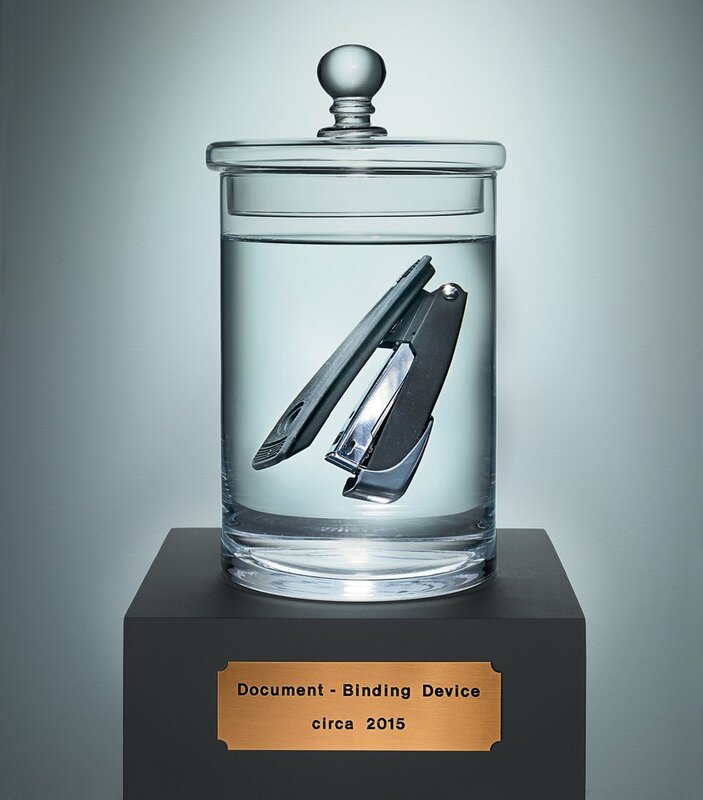 The movie is a montage of three reenactments leading up to Steve’s most crucial product release presentations. Today, even with the absence of Steve Jobs, Apple Inc. has millions of people watch the company’s infamous launch events in person and virtually. Enthusiasts for Apple or Cerner alike allocate resources and energy into these large events that, at its core, are nothing more than a vendor pushing products. Isn’t this a marketer’s dream? Attentive audiences with zero paid media expense. Steve Jobs stated, “Innovation distinguishes between a leader and a follower.” The entrepreneur spirit and the unrivaled innovation Cerner and Apple exert is why I believe both generate widespread attentiveness. And as The Little Black Book of Innovation describes, the word Innovation, in of itself, exudes optimism. Innovation helps us live happier, healthier lives. Apple and Cerner are industry leaders that have created a following because the company exudes innovation. People want to be inspired and be a part of the advancement and transformation of the future. One of the most effective tactics a marketing teams can do is position the company as innovative. Author Scott Anthony says, “There is tremendous innovation energy with every individual and every company.” But even if a company realizes its full innovation potential, it has to be evident in the mind of the consumer. And that is one of many jobs of a corporate marketer. Companies need to exude an innovational spirit to have the backing of crowds of people on the edge of the seats, eager to learn what a company has to say. Weeks ago, Taylor Swift graced Kansas City with her presence. She sang and danced to a sold-out Sprint Center audience that had purchased their tickets nearly a year in advance. I am not one to read People Magazine or fantasize about stardom. My tickets to Taylor’s show fell into my lap when a friend graciously gave me tickets. Unbeknownst to me at the time, the average ticket price on day two of her KC stop was $329.86. Although I am not a T.Swift super fan, she schooled me in subversive innovation. The 1989 World Tour drives city-to-city parading around 27 semis hauling stage equipment. Simultaneously, a second group of 27 semis parades en route to the next tour city. At each stop, the crew sets up shop with world-renowned production level cameras, stereo systems and lights. Then, our leading lady, Taylor, performs the same act over and over again at a level only Broadway emulates. Management innovation has ensured a flawless performance for the Taylor Swift enterprise regardless of performance location. Then I noticed something unnerving. Taylor performed in front of a mega video screen with video for every song. The artistic and cleaver videos on the mega screen seemed to feature several actresses. But in closer review, the video imagery Taylor performed in front of showcased only Taylor dressed in elaborate costumes. Marketing innovation positioned Taylor as more than the artist but established her as the product. Beyond merchandizing shirts and accessories like typical bands, they’ve branded everything Taylor. Taylor is the product she is evolving. Taylor has made the turn from adolescence to adulthood. Her fame started as an innocent country star and she developed into an iconic pop sensation. Within her 1989 album she left behind the boy-crazed romanticized songs and embraced more mature lyrics. Like all good brands adapt to change, Taylor too is reinventing herself. All the while, she takes full advantage of owned, earned and paid media. Taylor tells her story before others get to it. She owns her message in the popular cat photos she shares on Instagram, but also within serious writing like the WSJ titled, “For Taylor Swift, the Future of Music Is a Love Story.” Within this segment she states, “This moment in music is so exciting because the creative avenues an artist can explore are limitless.” Taylor recognizes here musicians have many outlets. There is no one better to make this point, her brand takes advantages of the many channels to distinctively market itself. 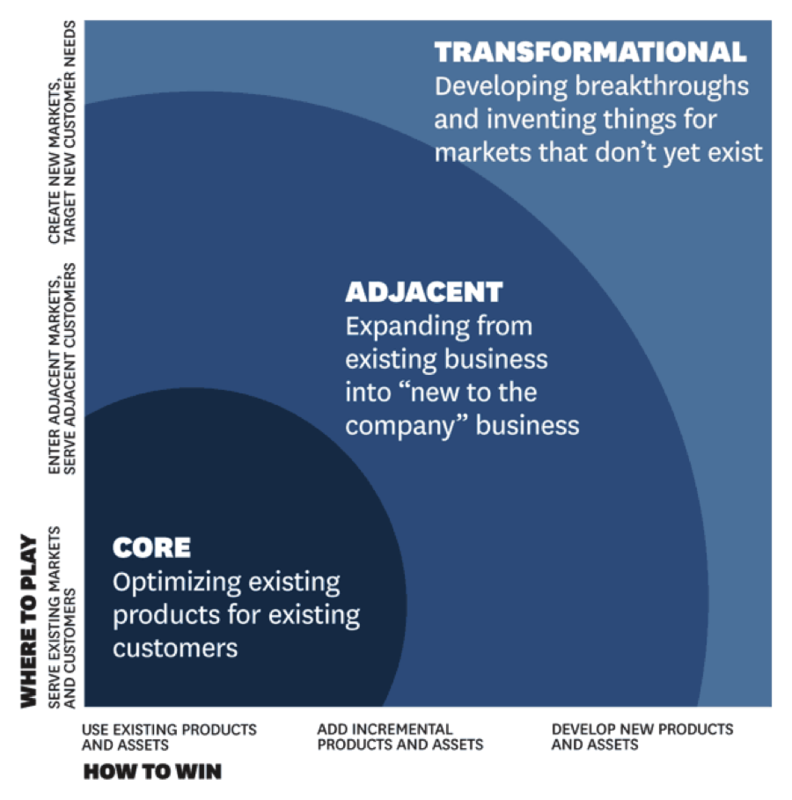 Incremental innovations and transformational innovation are common corporate terms. For a company to embrace the necessity of change needed to innovate, the company’s employees have to be adaptive. Can a company innovative without innovative people? Without the workforce, there is no innovation. In order to make a turn for betterment, the individuals that make up the company have to willing to evolve. And If you want to move the meter within your organization, the change may need to start with you. My quest is to help challenge you to be ready for change. By critically analyzing the process of innovating one self, I hope to live out these recommendations as an example. Have you incrementally innovated yourself? As a marketing professional, I’ve attended countless professional development events, participated in corporate leadership programming, and I’m completing my Marketing masters. These tireless efforts make up my life to date, but individually and collectively they make up for nothing more than incremental innovation. Like that of any product innovation, there is time for incremental change and time for transformation. Sometimes life changes force personal transformational changes. If you think though your career there are likely a few times where you have made a transformational change to innovate yourself. From David Bowie’s famous lyrics, “Time can change me, but I can’t change time.” It reminds me how we all have to commitment to change regardless of readiness. And it’s important to reflect on what level of self-innovation you are making. I know I am overdue for a transformational change to stay competitive. Companies have to balance the percentage of time and resources to allocate to the core and adjacent business areas and how much should be justified for the areas of the business that are transformational. This same model could have meaning too for individuals. Over the past six years, I have focused the core and adjacent offerings I can provide to an employer. I’ve become a better writer. I’ve learned to manage high caliber client events. But I have not taken any risks to my personal portfolio in the transformation category. We know changes are enviable. I am ready to seek out a transformational experiences. Is it time for you too to turn and face the strange?